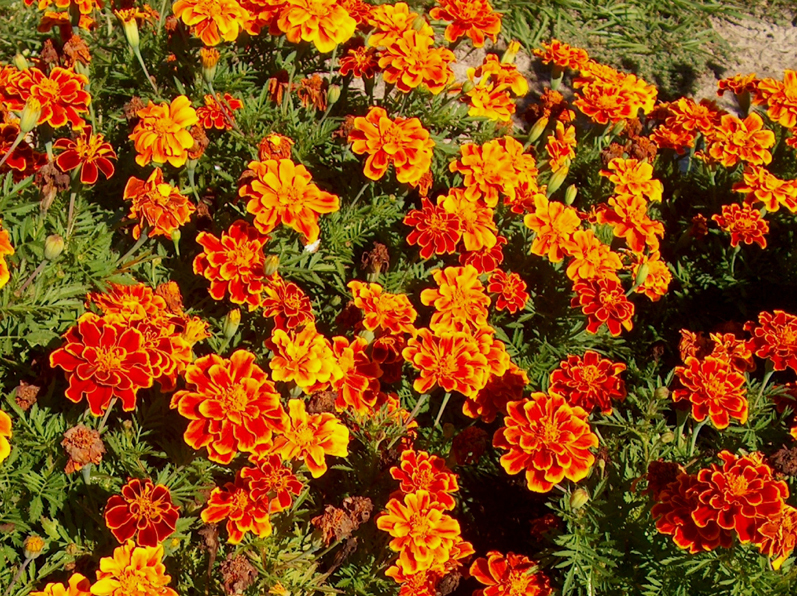 Comments: The patula type of marigolds are French marigolds. The are a tender annual that grow well in very sunny areas and in a soil that is well drained. They flower most of the warm season and are excellent in fall until hit by cold weather.